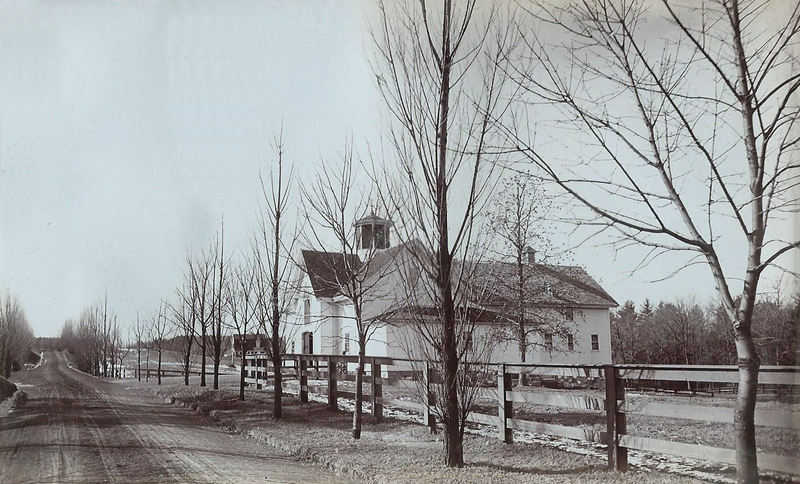 In August 1845 John Dove purchased 12 acres of land and buildings from Moody B. Abbott and William Abbot on the west side of the road leading to Frye Village overlooking the winding Shawsheen River and the pastures below. Dove had Gothic Revival house built in 1847. Jacob Chickering, local carpenter and builder constructed the house that faces on North Main Street. 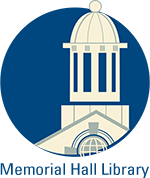 The names P. L. Blombon & T. Voelker are mentioned in the Chickering account papers. Theodore Voelkers was a Boston architect who also designed the Benjamin Punchard house in 1846, now the Enterprise Bank in Elm Square, and the Punchard Free School in 1854. A bill in the Jacob Chickering collection (MVTM) reads; "Mr. J. Dove to J.Chickering to cash paid P.L. Blombon and I. Voelker - acc. of extra work on house, including enlarging of shed at barn; Paid Ettingwood for windows and bulk head stone $12.00; enlarging for bedroom in shed-water closet $25. For building house and barn on contract - $7754.00 - TOTAL - $8566.65." John Dove continued to enlarge his estate land holdings. In 1846 he acquired from Timothy Foster 1 acre 60 poles meadowland, followed by Joseph Richardson’s meadow land 81 poles in Feb. 1847, then a ½ acre from Nathan Frye 1847. In 1867 Dove purchased a large parcel of 37 acres from John Stimson. John Dove was a machinist from Brechin, Scotland, who came to Andover in 1833 with friend Peter Smith and joined into partnership with Peter's brother John to form the Smith & Dove Manufacturing Co. Dove business specialty, was the machinery – “His knowledge of that department contributed to the steady, firmly grounded success of the firm.” Dove was known for his “general activity of mind”, and for his interest in science, religion, education and benevolent movements of the day. John Dove joined the West Parish Church by confirmation on July 4, 1841. He left the church on April 9, 1846, along with the John and James Smith and families to create the new Free Christian Church. All three were Abolitionists. After a trip back to Scotland 1834/35, John procured plans for machinery for their flax mill which was built in 1836 at Frye Village. The mill building stood on land now occupied by Riverina Road. They later moved the mill operations to Abbott Village after acquiring the Paschal and Abel Abbot mill in 1843. John Dove was born in Scotland on May 5, 1805, son of David & Christina Dove. John married in Perthshire, Scotland on Oct. 15, 1829 to Helen “Ellen” McLaggan, dau. of Alexander & Elizabeth (McGrome) McLaggan. They had a daughter Isabella Craigie b. Dec. 15, 1831 in Brechin, Scotland. The Dove family immigrated to America joining friends John and Peter Smith in Andover, MA at Frye Village in 1832-33. The Doves had five more children here; one son, George William Webster b. Jun. 4, 1835, and four more daughters, Ellen Christina b. Aug. 21, 1838, Marcy “Mary” Alexander b. Sept. 13, 1840, Laura Smith b. Oct. 23, 1842 and Clara Lyell b. Aug. 5, 1844. Ellen married John A. Blanchard and Mary married Rev. Frank H. Johnson. Laura married twice, first to George Alexander Phillips and then to Haldane-Duncan, Earl of Camperdown, making her Lady Duncan. The youngest daughter Clara married William Phillips Walley. Only the oldest daughter Isabella remained unmarried. John Dove divided off a portion of his estate giving it to his son George William Webster Dove as a wedding gift. It comprised about 7 acres to the south of the homestead. George built a fine house for his new family. June 1, 1866, Andover Advertiser – “A splendid new cottage house for George W. W. Dove on Main Street is nearly completed, and will soon be occupied. Its interior arrangements and finish are scarcely excelled for convenience and richness by any dwelling house in town. George named his home “The Croft” at #250 North Main St. George married Susan C. Glidden and they had five children; Marion G., Edith L., John, Percival, and Maria. 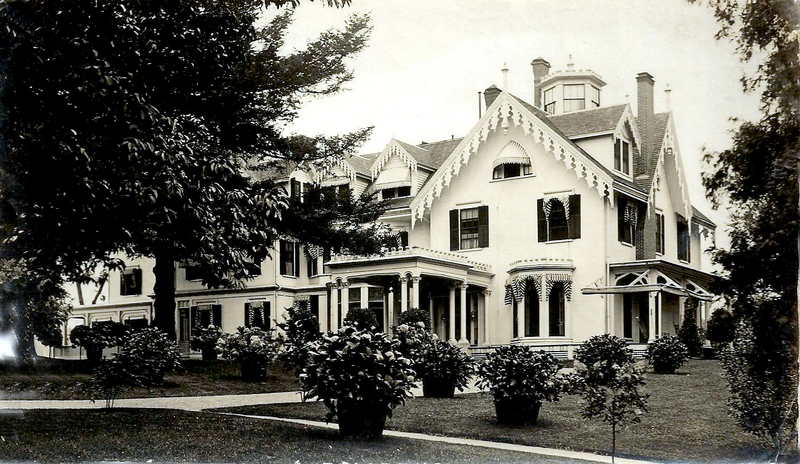 John Dove was, by all accounts, a generous man giving gifts to the Andover Theological Seminary for construction of the library “Brechin Hall” and the town’s public library “Memorial Hall”. June 19, 1858 AA –Dog Lost – Strayed from the house of John Dove, on Monday, June 14, a large dog of the Newfoundland and St. Bernard breed. Short black curly hair on body, white streak down the face, breast, feet tip of tail and small spot on back of neck also white. John Dove loved to garden and had a gardener’s cottage built on his estate. The house was located next to the greenhouses north of the Dove mansion and near the original Poor Street beginning where the First Church Christian Scientist is today. One of John Dove’s early head gardeners was Alexander Anderson, a native of Aberdeen, Scotland who lived in Andover in 1843-1853. He was also head gardener for Peter Smith and after moving to Lowell worked for J. C. Ayer. He died on Feb. 22, 1889 in Lowell. John Dove died on Nov. 20, 1876 at age 71. His wife Ellen had died eleven years before on July 14, 1865. Both are interred in the family crypt at the Chapel Cemetery on the campus of Phillips Academy. The Dove estate was then inherited by their children. Daughters Isabella and Ellen would continue to live in the Mansion house. 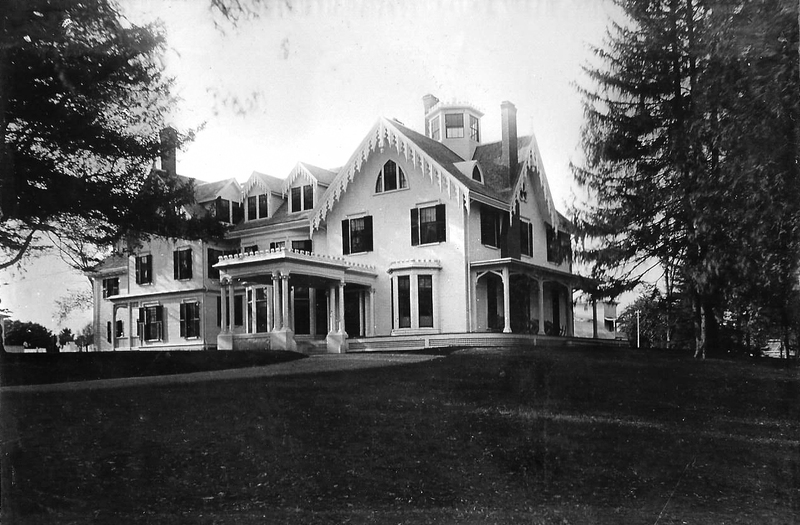 The estate was sold in 1891. The Dove family offered property for sale; "20 rooms, 2 bathrooms, cemented cellar, stable, double tenement house, 2 large barns, 50 acres". Ellen W. (Ayer) Wood, wife of William M. Wood, purchased the estate from the Dove family on July 7, 1891. William M. Wood then purchased a two and a half acre parcel of vacant land on the east side of North Main Street from William Poor, the wagon builder, in February 1892. The lot was between William Poor’s homestead southward to land of Susan Dove. The Wood family later acquired Wm. Poor’s house lot in August 1899 creating approximately 4½ acres between North Main Street and the river directly across the street from Arden. William Madison Wood remodel and reshape the former Dove estate into the home he named “Arden”. Wood acquired adjoining parcels of land along Poor Street north of the mansion house. He continued to enlarge the house and grounds building additional barns, chicken coops, a carriage barn, ice house, enlarged the superintendent’s cottage, built a coachman’s house, valet’s house and moved the former gardener’s cottage across the street from Arden. When wood constructed a large retaining wall along North Main St. he had a small pedestrian gateway and steps built to allowed the gardener easy access to the greenhouses. Every necessary building needed for maintaining a gentleman’s farm was constructed. Wood also built a children’s playhouse and tennis courts. The former Poor’s Wagon Shop on Poor St. was moved on to the estate fronting on the pond that once powered its machinery. The building was transformed into the Arden Casino and theater. The 60 acre estate was landscaped with a beautiful allay of trees from the main house to the rear of the property. Greenhouses were enlarged and the Dove flower garden updated but saved. 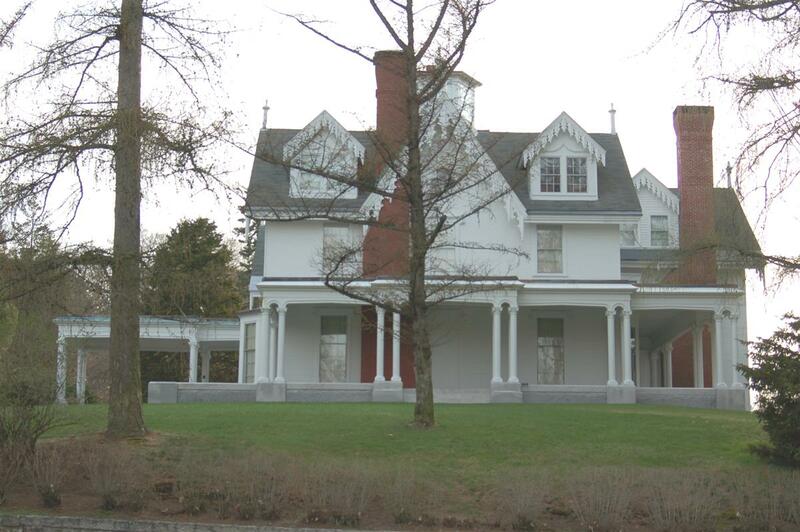 Wood lived here 20 years before beginning construction in 1918 of Shawsheen Village, his model community for employees of American Woolen Co. At this time Mr. Wood constructed “Aberfoyle” just north of the main house for his new personal secretary George Wallace. A sidewalk was built on the estate between the two houses for convenient access to Arden. The Arden Estate was inherited by son Cornelius A. Wood in 1926 and then grandson Cornelius A. Wood Jr. in 1972 – 2005. His wife Rosalyn (Kempton) Wood continues ownership of Arden. Mrs. Wood has embarked on an extensive campaign of restoration of the estate in the past ten years. The Mansion house, barn, Superintendent’s cottage, Lake House, the Stone house, and recent reconstruction of a former barn. With the loss of the Arden Casino to fire in February 2014 plans have begun to reconstruct the Casino with an exact replica. Mrs. Wood has also deeded much of the 63.7 acres of the property to the Trustees of the Reservations, insuring that the estate will continue to be protected and preserved for future generations. ** Remodeling by John Tucci and Son Construction Company. Heirs of Solomon H. Higgins to Dove – May 18, 1876 – b. 41 p. 41 - ¾ acre -Lawrence deeds.